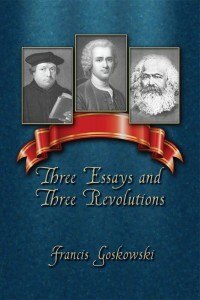 In this fascinating work, Three Essays and Three Revolutions, author Francis Goskowski argues that Martin Luther, Jean-Jacques Rousseau, and Karl Marx, three “Founding Fathers” of the modern world, are responsible for the “big ideas” that have shaped current thinking in religion, politics, and economics. By closely examining one important work of each thinker, this insightful and highly readable book shows how the revolutionary concepts Luther, Rousseau, and Marx advanced, provoked fierce opposition within the prevailing order, but ultimately gained acceptance in all circles. 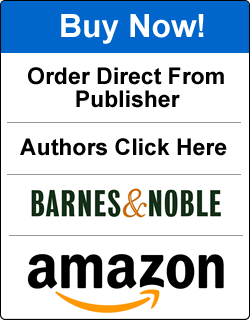 Mr. Goskowski expertly shows the reader the manifestation of these concepts, evidenced by the fundamental agreement on religious liberty, civic equality, and economic justice apparent throughout the Western world today. Meticulously researched and written with a finger on the pulse of our modern world, Three Essays and Three Revolutions is an important addition to the study of history, philosophy, politics and culture. Francis Goskowski taught English and served as an administrator at Lackawanna College, in Scranton, Pennsylvania, from 1975 to 2009. Three Essays and Three Revolutions is his first book.